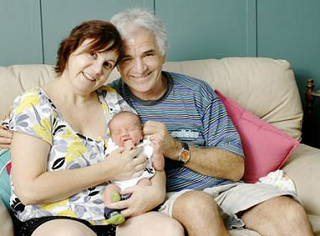 It took 11 years but finally, Fiona and Paul Lister have a baby of their own. Izaak James Lister arrived on December 15, making Fiona, 47, one of the oldest first-time mums in the area. After trying and failing to fall pregnant naturally for years since the age of 35, she turned to IVF. 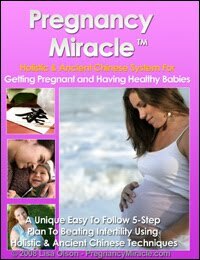 Fiona and her husband went through all the standard tests to determine where the trouble was with their fertility. The doctors couldn't find anything wrong, and we were told there was a non-specific fertility problem, she said. After many failed attempts, Fiona had given up on ever having children. With just two more vitrified embryos on ice five years after her previous attempt, it was now or never. They had collected the eggs when I was 41, and after being frozen for five years Sydney IVF gave us four options - have them implanted, donate them to someone else, throw them away, or donate them to stem cell research, Fiona said. We thought we might as well use them, even though we had a one-in-1000 chance or less of being successful. But it seems miracles do happen. Originally posted on December 22, 2008. My name is Dana. I wandered if you would be interested in writting a posting on your blog about my Angel burial gowns ? I have come across a need in our community and have decided to change it. I would like it if you had a read of my angel postings. Are you on the facebook ? I have a link I would like you to read through.... Please do not mention the women's names in your post- thank you . Thanks for sharing this story about "miracles". Congratulation and a lot of joy with your baby!! !